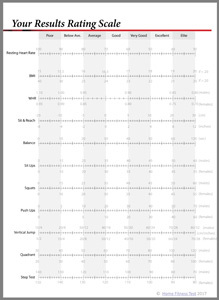 As well as the free download of the Home Fitness Test Manual, here are several other supplementary files you can download. Go to these pages for information about the resource and a link to download a printable version. PARQ - the Physical Activity Readiness Questionnaire, a list of questions to determine how safe it is for you to start an exercise program.